From growing up in rural Armagh to warming up the crowd for Annie Mac, Electronic Music Production graduate, Holly Lester, has already made more than a mark on the industry. 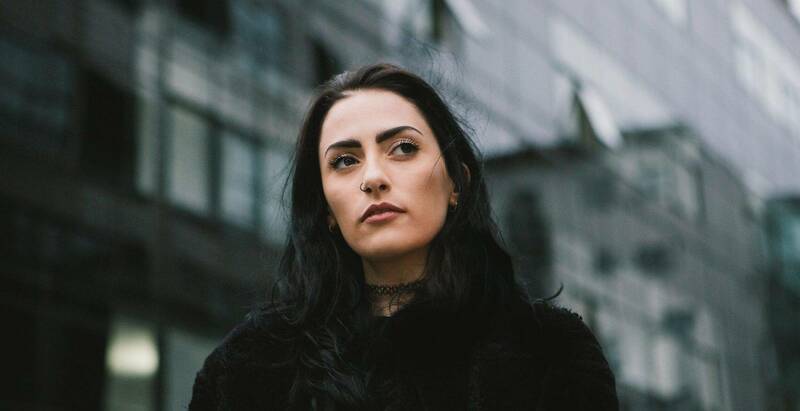 Busy working on her releases, we caught up with Electronic Music Production graduate Holly to find out a bit more about her, what she has been up to, and her future career plans. Hi Holly! Thanks for letting us interview you! Could you tell us what you do? Hi! I am DJ/aspiring music producer from Armagh, Ireland. How did you get started DJing and producing music? I started DJing when I was 14 years old, after hounding my parents for months on end to get me a set of CDJs. I’m completely self taught – I come from a very rural part of Armagh so there wasn’t really anyone I could watch! I’d been reading a book for a while before I got my CDJs that helped me enormously – “How to DJ Properly” by Frank Broughton and Bill Brewster. I didn’t start producing till much later on in my DJ career. In fact, I would say I only started seriously upon joining in September 2015. Beforehand, I had just dabbled in bits and pieces on Ableton. I had been for one-to-one lessons and that kind of thing. I don’t really have any one person that is my main influence; it is more an amalgamation of different things and people that have influenced me at different periods of my life. My dad is definitely to blame for getting me into house music and various other electronic music genres when I was a kid. I used to listen religiously to shows on Radio 1, RTE 2fm and Radio Ulster as a teenager, with shows by the likes of Pete Tong, Fergie, Eddie Halliwell and Paul Hamill (Psycatron). I would sit up and record the shows on tape till all hours and had notepads full of tracklists in my room. It all became cemented for me when I visited Ibiza in 2007, I just knew what I wanted to do and that was it. Ibiza is a place that has influenced me massively throughout my life too – after living there for a few seasons it made me realise what was possible. Can you tell us about any projects you’re working on / up-coming gigs? What has been the highlight of your musical career so far? What are your goals for the future? At the moment, I am continuing on with my production and working towards a few releases in the near future. Over the summer I have a few dates pencilled in for parties in Derry, Glasgow and Lincolnshire with more to be confirmed. It is very hard to pick just one standout moment so far, but a couple that spring to mind are warming up for Annie Mac in the Arts Club theatre (for Chibuku in Liverpool), playing the main room of The Warehouse Project when it was in Victoria Warehouse (which was extremely nervewracking) and my residency with Sankeys in Ibiza during 2014. My goal for the future is to keep progressing and get some great releases on good labels under my belt! How did you find the EMP course? The course has helped me immensely – I cannot thank Damo enough for how much he has helped me progress in the past 6 months. Before the course began, I had absolutely zero confidence with Ableton. It will definitely provide the stepping stones to furthering my career in production. What advice would you give to someone starting out as either a DJ or music producer? My advice to anyone starting out – start producing/learning to produce as soon as you can! Don’t waste any time waiting for things to come to you. Everything takes hard work and determination.